How do you define luxury? A cashmere shawl, a sable coat, a bottle of Dom Perignon champagne or the new Elegant Collections from Silhouette. Quiet elegance, timeless beauty, enduring classics, words to describe both the First Class and the new Pearl collections. Pearl, an everlasting symbol of luxury becomes the center- point in both collections. Delicately integrated into the temple design, the pearl emphasizes the preciousness of the frames and the new femininity that has been added to the First Class styles. A collaboration between Daniel Swarovski Paris-purveyors of distinguished crystal accessories-and Silhouette, the leading manufacturer of high quality optical eyewear, Daniel Swarovski Crystal Eyewear is characterized by fusing distinctive crystal decorations with visually striking and elegant designs. The finest materials, precious metal colors and classic styling insure the destiny of these frames as collector’s items in the eyeglass lover’s repertoire of frames. 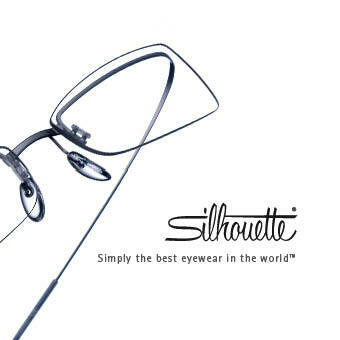 Silhouette is defining a new kind of luxury, one more piece in The New Definition in Eyewear. The Parschauer Eye Center is pleased to bring you a wide selection of spectacle and sunglass frames from the Silhouette line, now teamed up with Daniel Swarovski to create eyewear with a symmetrical balance of luxurious form and precision engineering. To learn more about these remarkable frame designs, visit our optical department today and see what you’ve been missing all along.